At Anchor Meditation we believe that you are already a teacher...whether you know it or not. Our students come to us from all walks of life. Some are parents, teachers, corporate executives, health care workers, social workers and even students. And while their lives may look drastically different, what each person has in common is that it seems all have been influenced by the practices of meditation and mindfulness, and as a result, they desire to learn more about how to share the science, philosophy and practice of meditation in their homes and in their work...they just don't know how. Through our programs, we strive to provide all of our students with a depth of knowledge and the ability to weave and integrate it into what they already know. As we do this, knowledge quickly becomes wisdom, and everyone soon realizes the value in what they have navigated and learned in their lives so far. This becomes the platform for relating to others and supporting them on their own path of health and healing. Each of our training programs is a blend of science, philosophy and practicality. We feel great importance in creating a safe space for all of our students to learn and grow, and focus on building a supportive and nurturing community that continues to nourish our teachers long after have they have completed their training. If you're dreaming of becoming a meditation teacher, and can't make it to San Francisco, we offer an online course that is extremely user friendly and can be done at your own pace in the comfort of your own home. The Anchor Meditation 25-hour Learn to Teach Meditation teacher training certifies you to teach a two-hour introductory meditation workshop, in addition to leading guided individual or group meditations. The Love to Teach Meditation 200 HR Teacher Training is an opportunity to immerse yourself in the practice, while expanding your knowledge of meditation within ancient and modern science, and confidently develop your abilities as a facilitator. Specifically designed to prepare you and your students to use the practices of meditation as a foundation for living a more mindful and empowered life, this program will awaken you to the possibilities of a happier and more fulfilled experience in all of your life's endeavours. A natural born teacher, Mandy Trapp has been inspiring others to live happier and healthier lives for the past two decades. 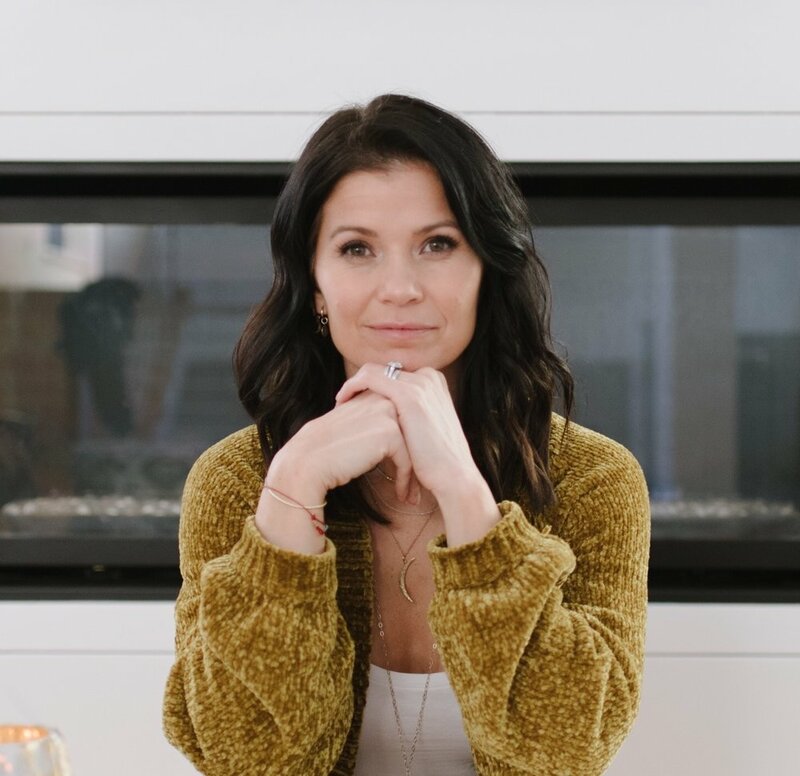 She began her career as a personal trainer at a top private training studio in Edmonton, Alberta, Canada, but it wasn't long before she began to explore a more holistic approach to wellness. In 2001 she attended her first yoga teacher training and while yoga would continue to be an active and strong modality that she has both practiced and taught since then, she claims that it was one single page in that first manual that changed her life.
" I remember flipping through the manual on day one to get an idea of what's to come. To be honest, I was still quite fresh out of college and I wasn't thrilled with all of the theory. But, as I flipped that morning, one page grabbed my eye. I had only caught a glimpse of it for a split second but I scrambled to find the page that seemed to jump out of the book and seemed to take my hand. When I found it, I saw a picture of an Indian woman sitting cross-legged with her eyes closed. The title at the top of the page read " Slipping into Silence." For me, that was the first time that I had ever read or heard those words, but it certainly wasn't foreign to me. In fact, since I was a child I had always had my own meditation practice...although I had no idea what meditation was and certainly didn't think that anyone else did either." From that moment on, Mandy knew that slipping into silence wasn't something that people needed to learn, but rather, something that they needed to be guided to remember. She knew that the state of meditation and mindfulness was intuitive, but lacked the greater understanding and resources to share that wisdom with others. A series of synchronicity's led Mandy to the Chopra Centre for Wellbeing in Sand Diego, California just a couple of years later, where she would learn from Dr. Deepak Chopra, Dr. David Simon, Davidji, and a faculty of other well-known and accomplished doctors and Integrative health and wellness experts. There she completed all levels and areas of training and graduated as a Vedic Master Educator. And though she spends a great deal of time in India, Indonesia, and other countries known for their wisdom teachings, she is most grateful for her Chopra education that has harmonized the ancient teachings with the struggles and demands of modern life. And boy does she know the demands of modern life! Mandy is a busy mom to 3 kids, wife to her husband John, Owner, Creative Director, and Lead Educator at Lifestyle Meditation, and actively serves her community through fundraising and advocating. She is the founder of the India/Nepal Yoga Project, and works with local organizations in those countries to bring about sustainable solutions for healing and helping victims of human trafficking. Mandy's teaching style is real, honest, and inspiring. She has currently certified nearly 2,000 teachers but what makes her most excited is to think of the ripple effect that those individuals are having in their homes, their offices, and their communities.